Stop trying to control everyone. I’m going to be candid here for a minute; I’m more controlling than I care to admit. I have high expectations for myself and others, and am passionate about what I believe in. I’m so thankful I was created this way. What I’m learning though, is that I can’t impose my idea of the good life onto those who don’t want what I want. I’ve spent so long trying to manipulate my husband, my family, my friends into people who value what I value. Trying to talk them, motivate them, encourage them, love them into my idea of their highest potential. What I thought I was doing from love for a long time, I now realize is setting everyone up for failure, disappointment, and frustration. You cannot talk people into seeing things the way you see them. You can only live aligned to your values, define your own priorities, and live in integrity with what you know to be true, for you. That’s what living authentic means. If you find yourself perpetually frustrated with others, always let down, or are always trying to help people achieve their highest potential, I want to be frank: Stop and look in the mirror. The passage continues by discussing throwing away advice and wisdom to those who don’t want to hear it. What I take from that piece of wisdom is that you must confront your motive for wanting to help others, especially those who don’t want to be helped. When I looked in the mirror of my expectations and desire for others to reach their full potential, I saw a lot of fear. Fear my marriage would fail. Fear I wouldn’t lead a life I loved. Fear my family would never be who I needed them to be. Fear that if people didn’t see things the way I saw them, I would spend my life proving myself. (aka a lack of comfortability with myself and my truth). What if the solution is simply looking in the mirror, dealing with our own logs, and walking the path that made for us? What if the right people would find us on our path if we let go of dragging people along with us? What if we loved people exactly as they are (with boundaries in place) and allowed them to be themselves? “Consider how hard it is to change yourself and you’ll understand what little chance you have in trying to change others." When you discover where you begin, you also learn where you end. Let go of the need to fix others and find the fear shift to love. If you’re interested in learning more about boundaries, drop me your email and let me know! You’ll join the tribe who get first dibs on all my programs, freebies, and the inside scoop on setting healthy boundaries. Success! Be sure to confirm in your inbox. 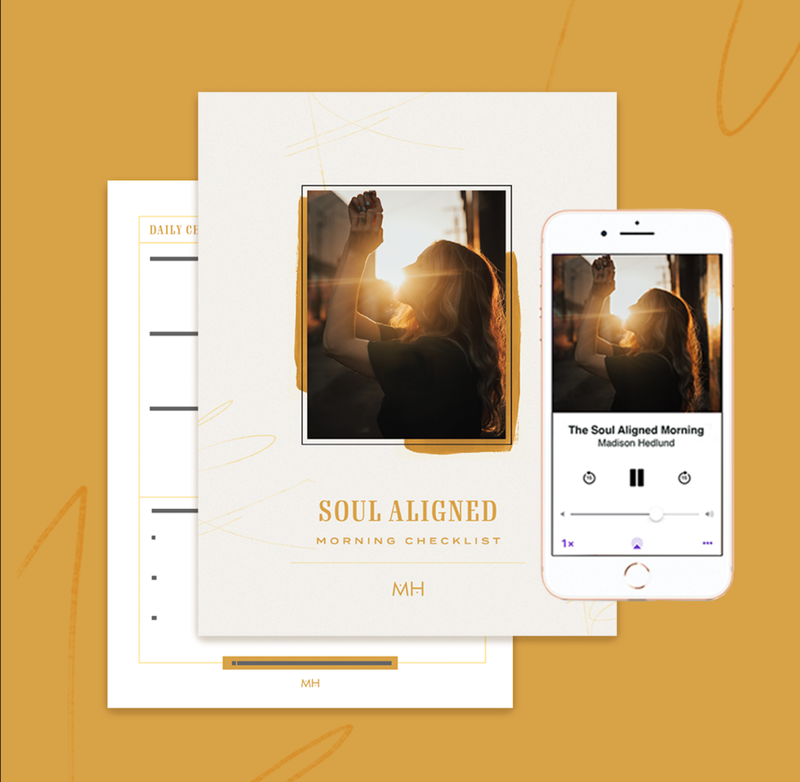 By doing so you'll stay in the loop + receive the Come Alive Journal Guide as my free gift!